For some, getting organized is a therapeutic way of clearing the mind. Straightening up and organizing a space not only creates a place for the items you own but offers a pleasing alternative to the eye and overall aesthetic of the room. 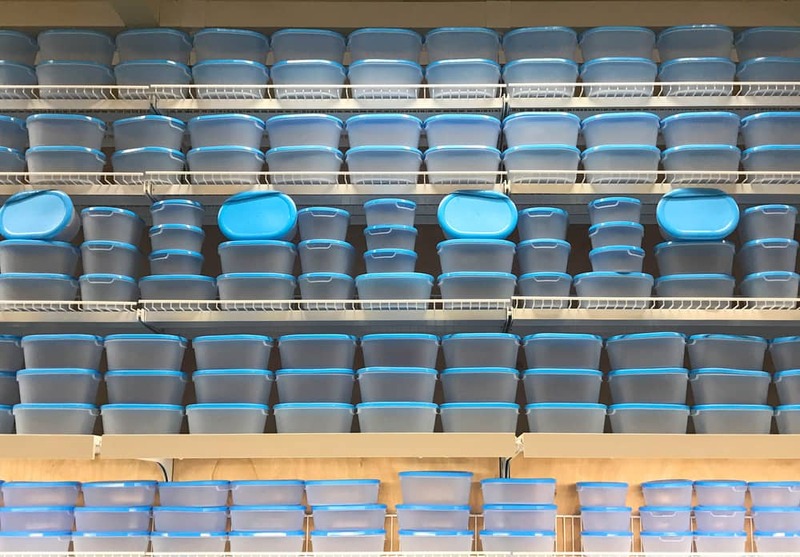 Whether you have neatly stacked containers in plain sight, or you hide them away in a personal storage unit, you may benefit from a container store. Here’s a little more information from Affordable Family Storage on why a retail container store is better for personal storage than a typical big box store when looking to store or organize more items. What is a container store? A container store is a retail chain of stores that exclusively sell personal storage and organization products. Great for people looking to up their storage game, they sell personal storage products from luggage to decorative baskets, to garage and storage unit crates. A few official retail container chains have popped up around the country as an alternative to big box stores that sell many other things, like food and clothing. Unlike those, when you walk into one of these specialized stores you know exactly what you’re getting, and all you have to do is select the right design and style for you. While some past container stores were unsuccessful, others have flourished and are still producing quality products today. Why Not a Big Box Store Instead? You may be asking, “Why not go to a well-known box store to purchase containers? They’ll just be sitting there, after all.” Well, an official container store offers higher quality products at more reasonable prices than some other large retail stores. Higher quality means your personal storage will last longer against potential damage and ruin. Even if you’re placing your items in a climate-controlled personal storage unit, items built to last will stack nicer, be sturdier, and prevent unwanted elements from affecting what’s inside. Another advantage a container store brings to your personal storage game is design. Instead of having a few ‘okay’ options at other stores, there are now countless styles, sizes, shapes, colors, and categories to choose from! From shelving and baskets to trunks and crates, you now have a stylish alternative for your personal storage. If you’ve got an excessive amount of personal storage, Affordable Family Storage in Billings, MO encourages you to check out our many unit options available today! We offer a variety of unit sizes to fit your needs, and with easy drive up access depending on unit size. If you’re not sure which size you need, try out our easy storage space calculator online. When you have too much clutter taking up space in your home, place your items in personal storage with Affordable Family Storage!